| Groupin Secures $5M in Funding – A Cambodian Startup Record! 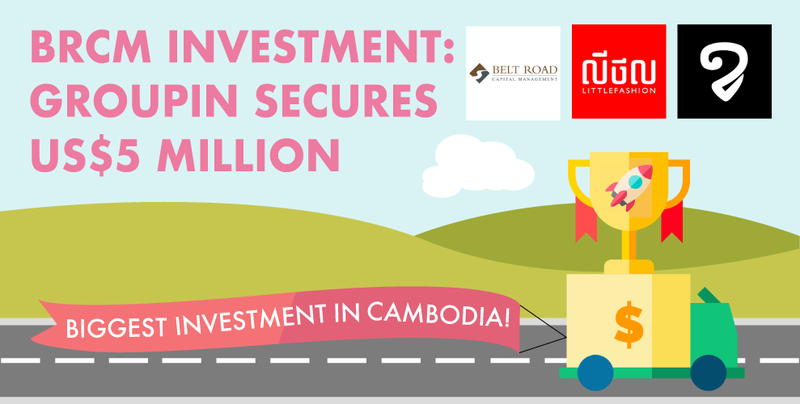 Cambodian startup Groupin, holding company of Little Fashion and Mediaload, has raised $5 million in a funding round by private equity investment manager Belt Road Capital Management (BRCM), making history as the largest investment in a Cambodian tech startup. Growing from an informal Facebook retailer to a leading e-commerce contender in the Kingdom, Little Fashion sells a wide array of products, ranging from fashionable clothes, accessories, and lifestyle products. Their secret to success lies in their focus on an omnichannel customer experience, with their online platform, social media pages and retail stores complementing and increasing their exposure to different target groups. More commonly known as Khmerload in Cambodia and Myanmarload in Myanmar, Mediaload is Cambodia’s homegrown Buzzfeed, with comparable content generation that appeals to their audience of 18 to 32-year-olds. Soft news, including fashion, sports and entertainment is disseminated in local languages to eight million users, garnering 600 million social impressions monthly. Alex Odom, Chief Investment Officer of BRCM, spoke of his excitement in working with the Groupin team. For more information about BRCM, click here. To find out more about Little Fashion, click here. To find out more about Mediaload, check this out.